Machel Montano performs at Tobago Love Soca (TLS) weekend at the Canoe Bay Bay Resort. 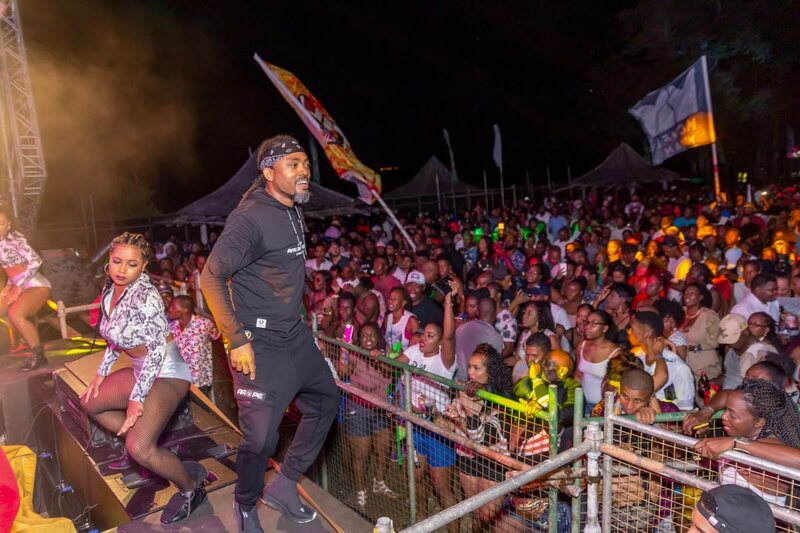 HUNDREDS of partygoers flocked to the Canoe Bay Beach Resort to enjoy performances by their favourite soca artistes, including headline act Machel Montano, as Brothers With Vision (BWV) Entertainment presented their signature fete, Soca Spree, as a part of the Tobago Love Soca (TLS) weekend. Now in its 14th year, Soca Spree kick-started last weekend. Other artistes at the event included Preedy, Voice, Patrice Roberts, Blaxx, Nadia Batson, Lyrical, Mr Killa, Skinny Fabulous and Neil "Iwer" George. “The line-up was simply irresistible,” said one happy fan. Grenada’s soca star, Mr Killa ( Hollice Jonah Mapp). Mr Killa (Hollis Mapp) performed his 2019 song Run With It, with fans picking up people, as well as available items, including two plastic barrels, to run with. Last week Wednesday, the police warned people against breaking the law during the performance of this song. Mr Killa told fans to pick up only what rightfully belonged to them. He has said reviews for the song have been way more positive than negative, it has been bringing people together in a unique way, and he is overwhelmed by partygoers’ response. 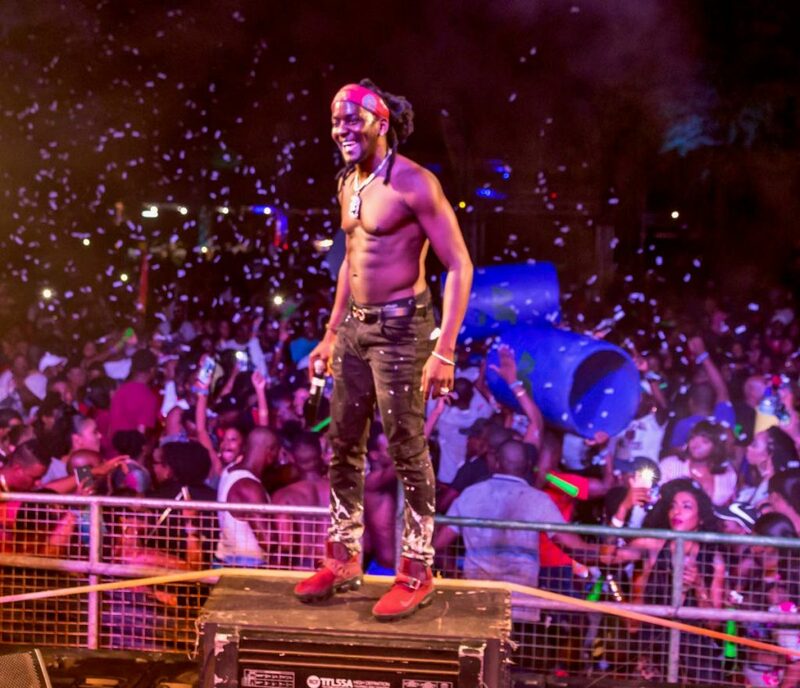 Montano gave a sterling performance for the Tobago audience, giving them such hits as Toco Loco, Fast Wine, Soca Kingdom, Mr Fete and Famalay. Performing after Montano, Iwer had the difficult task of keeping the crowd’s attention, as many people could be seen leaving the venue. The TLS weekend took place from February 15-17, with three major events: Soca Spree, Dusk In White and Wet N Wild. Reply to "Machel, Mr Killa wow fans at Soca Spree"